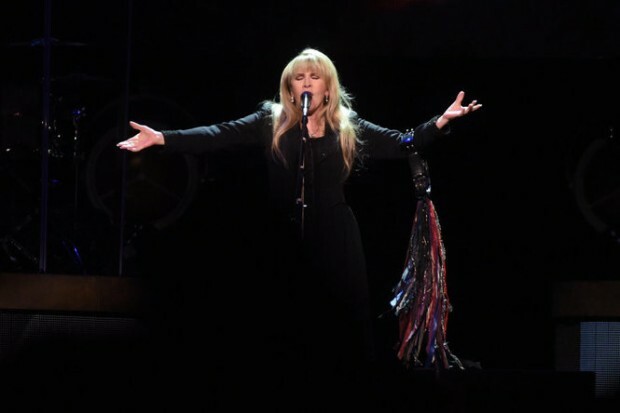 Nicks, who performed at Van Andel Arena on Wed., Nov. 23 and at The Palace on Sun., Nov. 27, 2016, admitted this is not her typical solo tour. She called it a little darker than usual. This slideshow tells the stories behind many of the songs she performed. "It's something different for me after all these years. 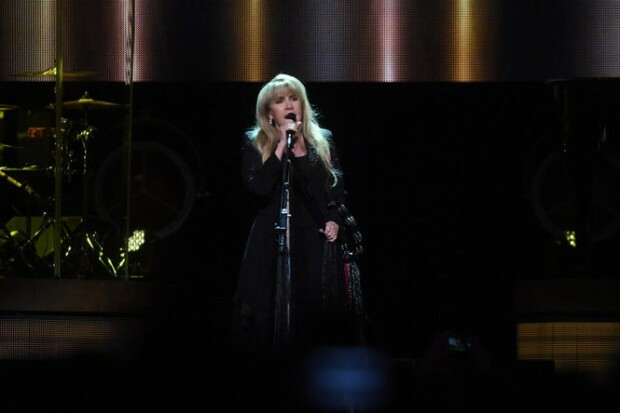 I didn't want to come out here and do the same Stevie Nicks stuff that you've seen 5,000 times." 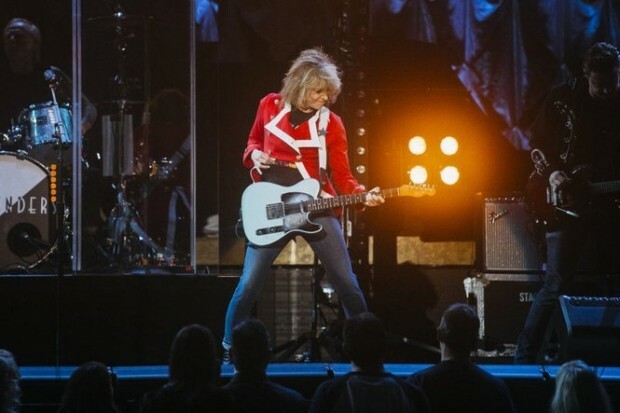 Chrissie Hynde and the Pretenders opened for Nicks, performing for one hour. They performed songs from their 10th studio album, "Alone," and some classics including: I'll Stand By You," "Back On The Chain Gang", "Don't Get Me Wrong," and "Brass in Pocket." Hynde made sure to put a little more emphasis on the line "been driving Detroit leaning" from the song "Brass in Pocket." 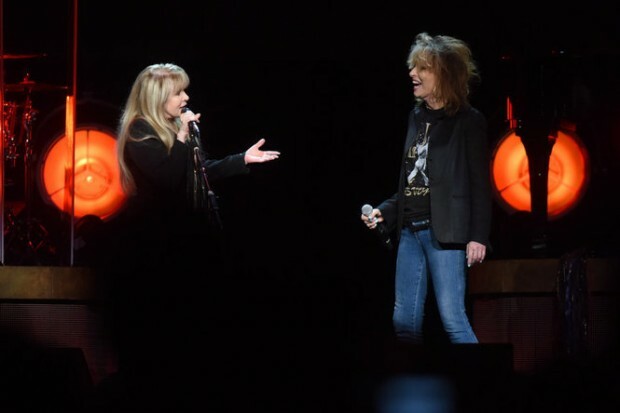 Story behind "Stop Draggin' My Heart Around"
Nicks brought out Chrissie Hynde of the Pretenders for this duet, originally performed with Tom Petty. The song is from Nicks' first album, "Bella Donna" from 1981. Nicks says it wasn't on the album at first, but producer Jimmy Iovine said it needed a hit single. "Do you want me to go home and write a single? No, I don't because a friend of ours (Tom Petty) has offered to give you an amazing song. If you don't take this song and get this single, your record may tank. We have to thank Tom, because without that single, I may not even be standing here tonight." This song is on Nicks' 2014 album "24 Karat Gold." She wrote it in 1979. She said the song is about not being able to have a relationship because you were a rock n’ roll star. "Those women in the song are me, my sister Lori and friends I had from 1975 to 1978. Story behind "Bella Donna" and "Wild Heart"
Those are Nicks' first and second albums released in 1981 and 1983. She said there wasn't a big tour for "Bella Donna" because she was with Fleetwood Mac at the time. She says she might not be "standing here tonight" if her second album, "Wild Heart" wasn't successful. "The thing about the follow-up album 'Wild Heart,' was that whenever you come away from a big group and make a record, people say it's a fluke. The only way you can mess with that argument is to make another record that does really well, too and they can't say 'Bella Donna' was a fluke. We owe a lot to 'Wild Heart' for being the crazier and darker record, but that did really well and gave me the ability to have two careers the rest of my life." This is another song from Nicks' 2014 album "24 Karat Gold." She says she wrote it in Tom Petty's basement around 1980. She recorded it with The Heartbreakers. "It came out so amazing that if either of us were doing a record, it would have gone on one of those records, but neither of us were doing a record. So, the song went into the dark trunk of songs possibly never to be heard from again until 2014 when I made '24 Karat Gold." This song is from Nicks' 2011 album "In Your Dreams." Nicks says it was her way of writing about what she was seeing as Hurricane Katrina was hitting New Orleans. This is the first tour she's performed the song. "I was horrified. So I immediately started writing my poem. I had to be very careful as a songwriter. I was conflicted on how much I could say. Yes, you have to say, ‘We may never forgive you, government of the United States, for not coming to our aid. But we are a flamboyant city, and we are a city of music, so we will come back." Nicks says she was so taken by the love story from the second "Twilight" movie, it inspired her to write this song. It's from her 2011 album "In Your Dreams." At the time, Nicks was not happy with the path the music industry had taken and wasn't planning on making another album. But, she wanted to put together a record around "Moonlight." "This song for me was a touchstone. It's my favorite song to sing and really, it's my favorite song I've ever written." Nicks wrote "Stand Back" from her second album in 1983 the same day she married Kim Anderson. They were driving in Santa Barbara when they heard "Little Red Corvette on the radio. Nicks started humming along to the melody. She stopped to get a tape recorder and put together "Stand Back" that night in their honeymoon suite, inspired by that Prince song. After performing this song in concert, Nicks showed a picture of Prince. She says the two were great friends. "Putting that picture up there every night for me makes me feel like he's still here." Story behind "Crying in the Night"
This is the oldest song Nicks performs on stage. It's from the 1973 album with Lindsey Buckingham before the two joined Fleetwood Mac. She says shortly after the album was released, the label dropped it and the two were back to square one. "We thought if the album had gone anywhere, this was going to be the single. This song is 43 years old. It's a testament that even if your dream doesn't come true, it can still happen." Story behind "If You Were My Love"
Nicks says when she recorded the demo in 1980, the record company changed the song. "This song should have been on "Bella Donna," but I didn't like the way it was done." Nicks put it on her 2014 album "24 Karat Gold" exactly the way she originally recorded it. The way she says she wanted it to be done. Nicks and Rock are good friends. Early on at The Palace concert, she told the crowd she was disappointed (jokingly) that he wasn't in Metro Detroit at the time. "I hear my friend Kid Rock's in Nashville. What's up with that? Seriously? I'm going to have to have a talk with him." 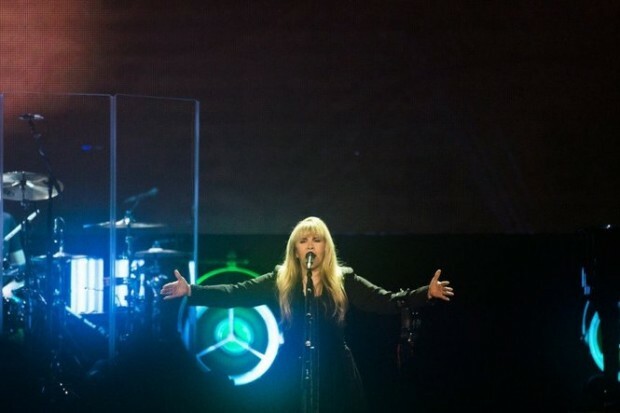 Toward the end of her concert at The Palace, Nicks thanked the audience and said she enjoys coming to Detroit. "I always love playing in Detroit. "Keep making those cars, even though I don't drive." Nicks says she doesn't have a driver's license. These are some of the Pretenders and Stevie Nicks concert tour merchandise for sale in Grand Rapids and Metro Detroit. She has a keyboard player, a drummer, two guitarists, a bassist, a piano player and two backup singers. 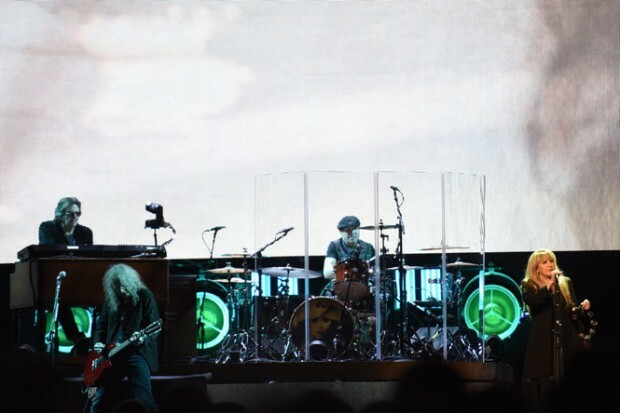 Nicks performed nearly 20 songs in two hours while the Pretenders opened with an hour long set. Nicks and Hynde are still two of the most powerful voices in the music industry. If you get a chance to hear them perform live, you are in for a treat.